Elkos Pens has been proudly participating in Paperworld for six consecutive years. 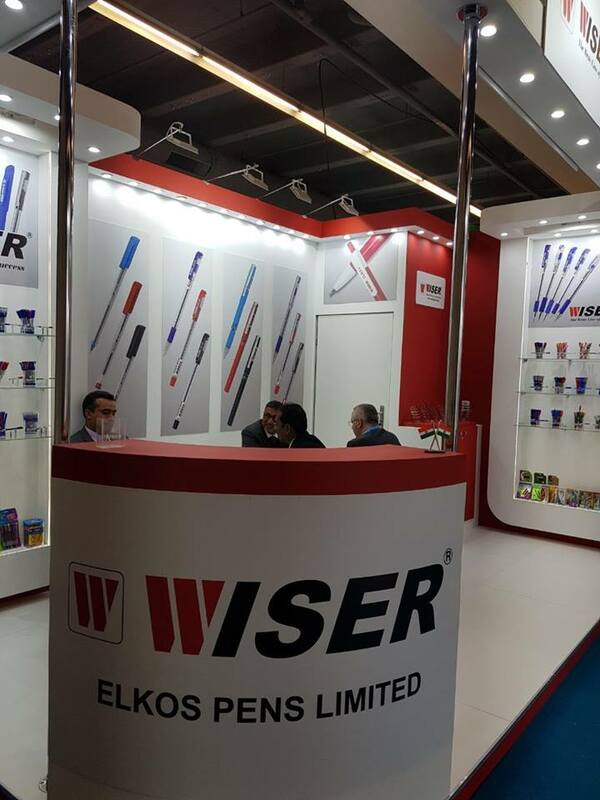 KOLKATA, India - March 3, 2018 - PRLog -- Elkos Pens, one of the most recognized writing instrument brands in India exhibited at 8th edition of Paperworld Middle East, the largest international trade exhibition for the stationery, paper, gifts and office supplies industry, held from 27 February – 1 March, 2018 at the Dubai International Convention and Exhibition Centre. Paperworld is a global trade-fair brand and the most important business platform for paper, office supplies and stationery products. The multi-faceted event offersthe entire spectrum of innovations in terms of paper, office supplies and stationery, whether they are technically oriented or simply intended for the home and office. Elkos Pens has been proudly participating in Paperworld for six consecutive years. It was the ideal event to make contacts and tap into new markets, anopportunity to present innovative products, generate business growth and find out about trends and developments in the industry. Paperworld was an exciting and exhilarating experience. The company showcased its entire range of innovative writing instruments including ball pens, gel pens, sketch pens, direct refill pens, pen refills and gift sets. Elkos pens offered a wide range of world-class products at competitive prices,which gave an edge to the company over its local and international peers and reaffirmed its leading market position in the industry. Elkos Pens has a long standing reputation for building the most reliable writing instruments and this is clearly evident in the entire line of Elkos products. The company desires to perform at the highest levels of quality and efficiency and to deliver innovative, high quality and customer-focused writing solutions to our customers. "As part of our company ethos, we continuously innovate and design new products to give our customers the best writing experience with a completely new design. This fairgave us the chancetopresent our products at a global platform and interact with huge audience. We would like to thank Paperworld team for their support that we received during the fair"said Mr. Vijay Singh, Assistant Manager- Marketing, Elkos Pens Ltd.
ELKOS Pens has been certified by the standards of ISO 9001:2008(QMS), awarded the prestigious Government of India registered One Star EXPORT HOUSE & has a distinguished honour of being stationery partners in reputed Indian educational institutes like IIT's & IIM's.